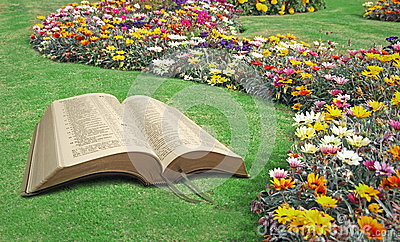 Photo of an open bible with paradise park and flowers ideal for spiritual tranquility peace,marriage vows etc. Prayer band lies on an open old bible. The woman in gray clothes holds three books in hand.